Prefab Green by Michelle Kaufmann is one-hundred and seventy-six pages of mixed images and information certain to please anyone interested in this burgeoning industry. Gibbs Smith, the architectural publishing powerhouse, released the book in January of this year, and if you're looking for insider expertise on prefab construction, I suggesting picking up a copy. To be clear, Prefab Green is not just a brochure of Michelle Kaufman Designs' prefab offerings. The book includes separate chapters on the mkSolaire, mkLotus, Sunset Breezehouse, Glidehouse, and the company's custom homes, but Michelle also takes time to tell us how she got where she is and where she plans to go in the future. The story is worth reading. There's an interesting preface by Dan Gregory, Editor-in-Chief of Houseplans, who explains his first encounter with Michelle Kaufmann in 2003. Gregory, at the time Home Editor of Sunset, explains how the Glidehouse was received by throngs of people at Sunset's spring lifestyle festival called Celebration Weekend. Roughly 25,000 people toured the Glidehouse, and prefab just exploded. As a future first-time home buyer myself, I really connected with Michelle's story of looking for her first home. She explains how frustrating the home purchase process was and how she couldn't find anything that worked. Michelle and husband Kevin wanted something well-designed, uncluttered, energy-efficient, low-maintenance, and within their budget. But after six months of open houses and searching, they both realized this home did not exist. I'm sure many of you can relate. Soon thereafter, Michelle and Kevin decided to build their own home and purchased a lot in Marin County, California. Their first home was built with SIPs, which is something this site has mentioned on multiple occasions. You may be interested in this discussion, because Michelle explains why she thinks modular construction is better (and greener). I don't want to give the whole story away, but Prefab Green is chock full of expertise discussing the various methods of prefab construction (kit, modular, panelized, etc.) and strategies for building a green home. It's well worth reading, and when you're done, Prefab Green should double as a reference manual and coffee table eye candy. [+] Buy Prefab Green at Amazon. [+] Read about Green Prefab on Jetson Green. *If you're interested in the book, drop a comment by midnight MST on Friday, May 15, 2009. Say where you're from if you don't know what to say. By leaving a comment, you agree to the terms and conditions relating to book giveaways on Jetson Green. Shipping only within U.S. This book would be very interesting. 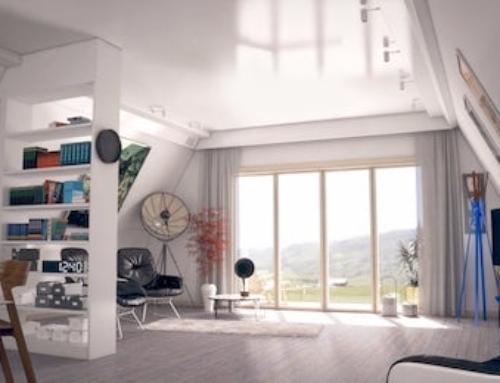 Some of Michelle Kaufmann’s house designs are available as SketchUp models via the Google 3D warehouse website. 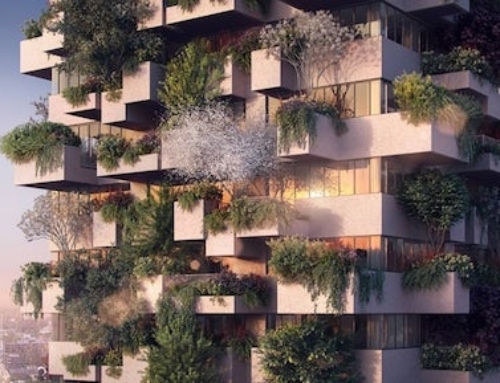 This book appears to be a great resource for anyone interested in green architecture. For recent graduates, like myself, resources like these are a good way to stay informed and updated on current design trends and options. I will likely purchase this book, if they don’t give it to me first. The fact that anyone is looking to Michelle Kaufman for insight on the “green” revolution is a sad fact indeed. 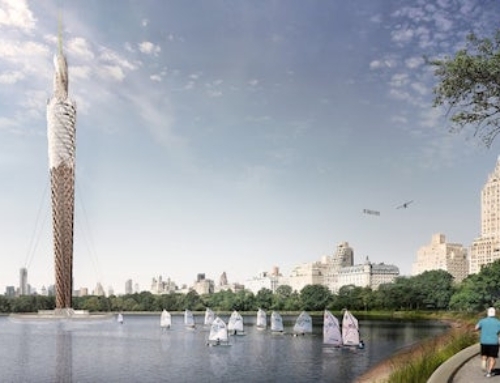 Nothing… I repeat nothing about her designs or architecture should be considered sustainable. Green maybe. Eco wise. yes. Sustainable… Not in the least. I find the tone of your comment to be very rude. I feel that you are implying that the editors of this site, fellow readers who have commented here, and myself are pathetic “sad,” for being interested in this book. And why you replied to my comment specifically is unclear to me. I said “it appears to be a good resource.” I wish you could explain why you feel so strongly, that this book is not helpful. i would much like this book, so i figured i’d say a few words. I truly admire Ms. Kaufman’s designs and focus on green with her most recent prefabs. My only complaint (it doesn’t lay only at her feet) is the cost of prefab. Hopefully the bubble that just popped will bring all housing costs into line. I hope that we will downsize our homes to reduce initial costs, energy and water use. 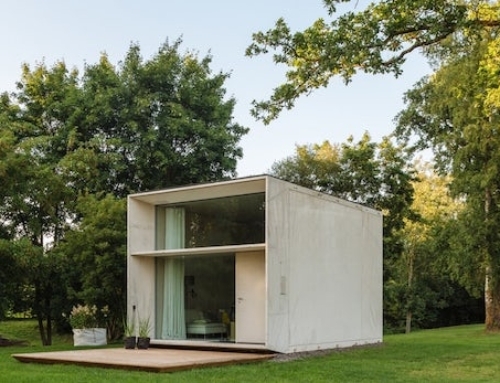 Prefab can be a solution for efficient use of space, materials and provide housing for us all. I’ve been in the industry and I can assure you that MOST of the time, the cost of prefab is less expensive than site-built construction. If the price is in fact higher it is because you are including expensive materials that are either new on the market or not local or something to that effect. I too would like a chance at a copy. What kind of comment give you the best chance? The “L” of my bedroom used to be an auto painting booth. My complete bathroom cost $47 to build and the 12′ x 12′ attached greenhouse cost $125 both using recycled materials I brought home from the job. The first room was virtually free using homemade adobe bricks. I’m always looking for new ways to build green and this book looks like a great step in that direction. 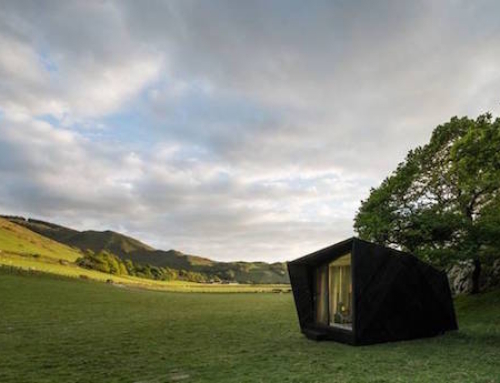 As a Sustainable Residential Designer this would be a awesome addition to my Reference Library. I have been following Michelle’s work with respect for sometime. Sounds like a good way to get my reference library started. We want our next home to embody all the qualities Michelle was looking for, so what a great place to start! Sounds like an interesting read as it hits very close to home. As a builder, we’re searching for additional avenues to expand green, affordable, modern homes for first time home buyers in Norfolk VA. Finally, a book for the masses that will help them see what they can get if theey’re looking for sustainable, morden and “afordable” architecture. Hopefully it will spark more and more people into thinking about these qualities, and discuss with a local architect…. Our clients would enjoy browsing through this. Looking forward to seeing Aria in Denver. I’d love this book. We have thought about doing a prefab green home before but ended up deciding against it mainly because of a lack of knowledge. My wife and I have bought a piece of property and are very serious about installing a fab prefab house. Of course any research that is made on prefab housing always has some thing to do with MKD. I am on the web almost every day looking for something new. The first sites I go to are Jetson Green and Inhabit the I pause at MKD just to seeif there is something new. I need this to win hearts and minds- my girlfriend thinks pre-fab=crappy! I would love this book! An excellent reference for my clients and I. Sounds like a great book – I’d love to share it within the office! Yes please! Living and working on a remote island, prefab makes so much sense for me… cheers! My wife and I are about 10 years away from retirement and are contemplating downsizing from our 3,000 sq. 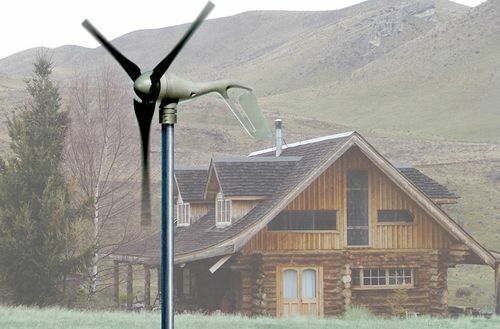 ft. home to something easier to keep up and more energy efficient. I think pre-fab could be a wonderful market for us baby boomers that are environmentally conscience and are also looking for ways to downsize as we hit the retirement years. Keep up the great efforts to change the way we look at inhabitable space and our impact on the planet and its resources. Brad from Huntsville, Alabama submits his entry. This looks like an interesting read about green pre-fab housing…. This looks great. I can’t wait until affordable prefab picks up some steam on the east coast! Sounds like a really interesting book—in time for our home remodel, too! There’s nothing like a giveaway to spur comments. I’m 31… 32 maybe… that’s maybe 10 times the average number of comments on a Jetson post. I guess it’s mostly a comment on your excellence and thoroughness (pandering) that there are typically few comments or questions. We’re busted! Thanks for dropping by Matt. Lately we’ve been in the 5, 10, 15 comments range for articles, and even giveaways range from 20-40. But today’s giveaway is huge! It’s a tribute to prefab and Michelle and mkd. I have a stack of green books we need to mention, so keep reading. We might do this once a week for a while. I too am a future homebuyer frustrated with the actual costs, especially with acquiring land in socal! Good luck! But I see a future for prefabs as their designs and manufacturing efficiencies develop. It’s a great option for those looking for affordable modern. Looks like a beautiful book, please count me in. saying hello from Boise Idaho. greatly interested in the topic. best wishes! Great! Adds to the discussion to prove that pre fab is a highly desireable mode of new construction from affordable to high-end. We will develop a multi-home project in the near future and expect to glean key advice from this book. I am also interested in the book. 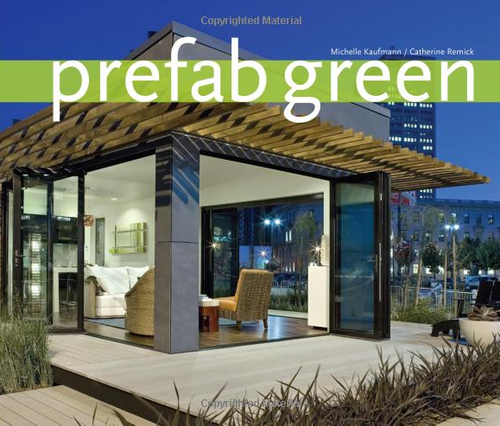 Green and prefab – very nice synergy; I look forward to this read. After re-reading the excellent Jetson Green article dated 9-16-08, written by Chad Ludeman, titled, “Prefab is Not The Answer to Affordable, Modern and Green Homes” it would be very interesting to read “Prefab Green” by Michelle Kaufmann, to compare the two different views. Which one has the most convincing arguments? For those who live in the colder states like Minnesota where I am from, is Prefab the best? To be clear, we see arguments in favor of both methods of construction, whether modular or SIPs, and the discussion certainly isn’t over. 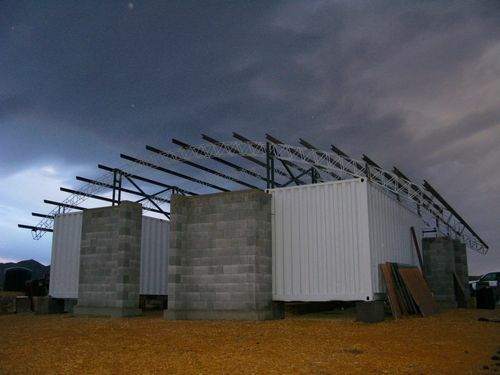 MKD makes a compelling case for modular green construction. Looks like a book of inspiration. I can certainly identify with “how frustrating the home purchase process was and how she couldn’t find anything that worked.” We had the same experience, and built ourselves – although it was in one of those “cookie-cutter” neighborhoods. Now we can’t wait to build again, and this time it will be much more green, and quite possibly pre-fab. So this would be a great addition to our library! I think this is a method of construction whose time has certainly come and will move beyond the psyche of the “trailer park”. Well Done to Michelle, Kevin, and the numerous pioneers that have made this possible (and affordable). A book cataloging these insights and harkening back to the time of the Sears Houses is a great example of the ingenuity of the younger dynamic archtects and designers coming into the forefront. I would be very interested in this book. I’m starting to consider buying my first home, and while I’m saving up the money I want to consider all the options…plus it would definitely be something interesting to sit on my coffee table and browse through the pictures of all the possibilties of prefab. I love her designs, but the cost of her houses are about double what it costs to stick build! Prefab Green! …Lean & mean! Michelle Kaufmann certainly deserves a lot of credit as one of the first to get it right. Smaller, well designed prefab spaces that are somewhat affordable, but that isn’t entirely her fault. The bigger prefab gets, the lower the cost of designing and manufacturing and shipping these great homes will be. This book can only help to spread the word! This would be a great reference for my study!! I’m from Egypt, is that okay ??!! I’d like to review this book for our Web Exclusive book review section for Construction Today magazine. If, I win, please send the copy to the US Presidents committee on building Energy Efficient Construction. I toured Michelle Kaufmann’s Smart Home at the Museum of Science & Industry in April when visiting Chicago to see my son and future daughter-in-law. I was very impressed! I am in the process of subdividing 75 acres of forested land abutting conservation land in NH and am trying to attract people interested in building energy-efficient, sustainable homes. I’m also looking for an architect in the New England/NH area who might like to get involved with this project. There will be just 12 lots, some as large as 11-12+ acres. Willing to sell more than one lot to same person if someone is interested in that. This subdivision has been planned with wildlife and nature in mind. I’d love a copy of Kaufmann’s book and it is likely I’ll eventually buy a copy or at least get it out of the library. I am retired and on a limited income so am not able to build any of the homes myself, but am looking for creative ideas and ways of attracting people who will appreciate what I am trying to do. Great schools in this small New England town; 20 minutes to the Manchester airport and just over an hour to Boston. Half-mile from center of the small community. I wouldn’t be subdividing but I need some money to live on in retirement. I am trying hard to do this the right way. I welcome your ideas, suggestions, leads, interest, etc. Do you have an email address of plans and costs etc etc you can send out? thanks, Matt. My email address is [email protected]. Email me directly and I’ll provide more details about my NH land. artnnature (Ruth). Thanks. I would love to have a copy of this book to give to my new grandson, although he’s only 60 days old, all indications are that he will be reading by the time he is 6 months old. I am very much interested in SIPs construction and would like to hear why MK believes pre-fab is better – I’m not convinced yet. Any prefab castles out there? I would definately like to read about how she thinks pre-fab is better than sips! Congrats JMan, you’re the winner of the book! I’ll be emailing you to get your physical address. Everyone else good luck on our future giveaways. My husband and I are on a two-year plan to sell our non-efficient home in an overpriced city and build an energy-efficient pre-fab home on our land. When Michelle Kaufmann debuted the Breezehouse she had our attention and we are now on our way to a green, smart lifestyle. Her book would help us decide on a design. Prefab can be a great option, but living in Colorado where we actually get weather and a good portion of it cold I always look at these designs wonder which temperate area the architect lives. Always so much glass, the homes would be a complete energy hog in most climates. Maybe this book covers more than homes for temperate climates, if so it could provide some interesting reading as I get to work designing a home for a small infill lot. I hope also that we can see more coverage of homes that work in a greater climate range on JG in the future. The bar is set way to low for many of these designers, JG often reports green features like; Energy Star Windows, Blown insulation, 90+% furnaces, which are all commonly used items by production builders throughout the country. I rate buildings by these builders and they often rate better than these homes reviewed. Could we also get the annual energy cost reported on the HERS certificate so that we have some way to compare buildings, lets have some data to back up green claims. All being said, thanks for keeping us informed, but green should mean more than bamboo floors and a reclaimed beam. I am hopefull green builder in Chicago area, this book would be a good resource. That always brings ’em out in packs doesn’t it? OK… I admit, I’m a horror for free stuff too. Granted, prefab needs to be the norm in home design. I hope stick built homes go the way of the log cabin… seen as a throwback from the past, “old school home construction”. We need homes that are more compact, efficient, and made from sustainable materials.. which is seen in PREFAB design. The more they sell, the cheaper they can become… eco 101. Hopefully we’ll see a surge in demand. Pick me! Pick me! I’ve been involved in the prefab industry for just over 4 yrs and actually worked for a manufacturer who built some of Michelle Kaufmann’s designs. I’ve also met Michelle, so it would be really interesting to learn her story and future plans. I’d love to add this book to my collection—thanks for the chance! Does anyone know how many of Michelle’s Designs have actually been built. I have heard that it is only 25 but have never been able to confirm. Thanks for the help. Their website indicates that there are 36 mk homes built to date. That’s impressive for prefab. Great resource, I’d love to add it to my library! I have been avidly exploring modular green building options for a cohousing community in Cincinnati, Ohio. MK’s book would be a great resource for us, particularly for those who think prefab = cookie cutter. Pick meeeeee!!! I’m judging a book by it’s cover…and I need this. id love a copy of this book, it would make a great reference source. existe la posibilidad de conseguir este material en .pdf ? dudo que material como este sea facil de conseguir en mi ciudad, Valdivia-Chile. Sounds like a great read, I hope this sort of modernism becomes more popular in the coming years. We are planning on building a vacation cottage on beautiful Cascade Head in Oregon and are thinking of building a pre-fab home because of the limited impact of the building on the environment. Plus they are cool. We are also hoping to start small, but have a custom design that can add perhaps a stacked “pod” later on to take advantage of views, etc. We would love a free copy of the book. A book on Michelle Kaufmann for a comment on what is far-and-away the best green building blog; can’t pass up a combo deal like that. I’m IN. would love to see this book. Definitely Interested in this book. Give’s me good ideas for my next smaller and better designed home instead of the cookie cutter I live in now. I live in Reno, Nevada, and have developed an interest in the possibilities for environmentally friendly or at least low-impact building provided by Prefabs and other methods of construction. I’m sure I’d appreciate this book, as I continue to educate myself about this promising new industry! Thanks, Preston. The site continues to impress and this looks like a great read… Pick me! Pick me! I’m open to learning more about green prefab if it is in fact sustainable as well. Reading more will tell. So far I’m uncertain. I love MK’s work. This looks like a beautiful book. My magical powers of WESP (Web based Extra Sensory Perception) are saying you will pick my comment. Fantastic! There are numerous sources for information out there, but having it located in a coffee table-type book would be wonderful and a great way to start conversations over beers sitting around my living room. Free is always a good thing, and I am shopping for a house, after all :). I understand your issues with being a first time home-buyer. I bought my first home eight years ago, and I feel the same way about buying a new one. My family has recently expanded, and I want a new home with a better yard. I live on a relatively busy Portland street, and I would like to find a quieter spot. Unfortunately, what I want, where I want, doesn’t exist. Since I am an architect, I am planning on building to suit my needs, but the costs are a critical issue. Prefab has certainly been on my mind and I think that this book could be insightful to my plans. Thanks for all the hard work Preston! I’ve been reading the site almost daily for over a year now and have had many comments that I never posted. This is a great site and a great source to keep up with the industry. As for the book, I would like to see Michelle’s thoughts on SIP construction and everything else she has to say about prefab. Cheers! Just stumbled onto your site. Looking to build or buy in southern Colorado. Off the grid of course. I like the straight forward approach of this site. I would love to have a book! Fantastic, I could use another sustainable reference book for my library. I was (and still am) interested for years in modular and metal construction, which is by far a better alternative to the current manual/wooden studs procedures. Unfortunately this this trend is discouraged by the government officials that would not allow such new (modular) technologies in most of the cities in California. I live outside Boston, MA. Actually, I’m pretty interested in BluHomes. This type of building looks interesting!